As we all know by now, loot boxes have become such an issue of contention in the games industry that a number of countries have declared them to be gambling. The idea of getting random stuff in exchange for cash has been around for a long time now - think gacha toys in Japan, or card games like Magic the Gathering - but game developers pushed things a little too far, and tied loot boxes so closely to the kind of progress that you want to make in a game that it all became just a touch too exploitative for regulators... especially since children are often the target market. Many of those that opposed loot boxes for these reasons have considered this heightened scrutiny as mission accomplished (or at least, will be once loot boxes are fully regulated). But is that all there is to it, though? I'd argue not. The mechanical parallels between video games and gambling goes far deeper than that, and if we're genuinely concerned about the link, we need to do much more than simply complain about a game that goes too aggressive on the loot boxes. Loot boxes are the most overt manifestation of the relationship between video games and gambling, but there are others - some so subtle that they've entered common discourse about video games, without anyone really sitting back and considering the implications behind them. How many times have you read an article or review about a game praising it for being "addictive". How often have we jumped on social media to talk about a game you've really enjoyed by framing it as something you "sat up all night" playing? That's exactly the kind of response that gambling companies also aim to generate through their own games. 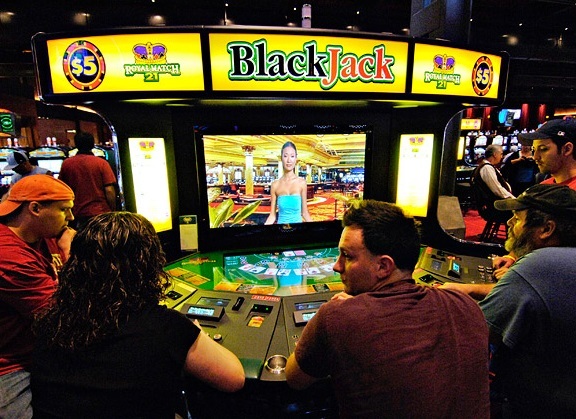 Gambling companies want you addicted to their specific poker machine. Video game developers and publishers want you so hooked on theirs you wouldn't want to play anything else, too. Video game developers use "addictive" gameplay loops that are repeated over and over again over the course of a game. Whether that be the combat system of a JRPG, or the online multiplayer structures of fighting games or shooters, a video game aims to get players to do the same basic actions, and interact with the game in the same ways, for as long as possible, over as great of a period as possible. In order to get players to do that, video game producers throw progression systems, leaderboards, and other such elements into the game. These are there for no other reason than to reflect how "addicted" a player is to the game. This is, in effect, no different to the way a gambling game is designed to dole out just enough in terms of rewards that people continue to playing on. We all saw recently the decision by Green Man Gaming to highlight statistics on its platform that focuses attention on to how long people play a particular game. We've all seen people bemoan games that are "too short" when they're four or five hours in length. Most of us, if we've got a favourite game, know exactly how much time we've spent playing it (Hatsune Miku Future Tone, over 1,000 hours). But this focus on value over time is something that gambling companies also actively encourage through their games. The more time that a person spends playing a gambling game, the more inclined they will be to have positive associations with it, whether they win at it or not. That's why gambling companies leverage off popular themes, characters, and franchises where they can. You'll come for the license, and the more time you spend playing the game, the more you'll see everything that the game offers. So, of course, you're being encouraged to sit in front of the game for as long as possible. Have you ever wondered why, in an RPG or JRPG, you'll hit the end game (or immediately before the very final boss), and finally get access to a sidequest to earn the very best bit of equipment? It's a bit pointless at that point, right? Especially when the boss you need to beat to earn that bit of equipment is so much more powerful than anything else you'll face anyway, so if you can beat it, then making yourself even more powerful through the equipment achieves nothing. But you'll do it anyway, and that's nothing if not a payoff. Your "reward" for being committed enough to the game to play through its loops long enough is to have earned the best stuff. It's no different in application than sticking around a slot machine long enough to earn the "triple-7 jackpot" from those machines. Fundamentally, video games and gambling games are about the same thing; hooking players in, and then, critically, keeping them. Indeed, if you look at the conversations that people are having in the gambling industry, its idea of innovation is frighteningly close to the way video game companies look at the future of gaming (for one example). In this way video games operate differently to film, literature and other art forms; in those art forms the producers aren't interested in keeping the audience for the same product into perpetuity. In fact, film makers and book publishers quite explicitly want audiences to move on to the next one as quickly as possible. This reverse applies equally to both single player and multiplayer games; in both cases the trend in video games is to keep people on the one product for as long as possible. This has precipitated the shift to content over art, and taken to the very extreme, we ended up with loot boxes. Regulating the loot boxes was an important step in curbing the tight relationship between video games and gambling. But it's important that we don't lose sight of the fact that the way we talk about video games, and how developers and publishers try and satisfy consumer demand, remains very much in the same mindset as how the gambling industry thinks and behaves.